Yup, this is our weather today. I got bored. I couldn’t just let this weather stop me from working out! What’s a girl to do? I really like Cassey Ho, the pilates instructor. She’s very motivating. She’s the blogger behind Blogilates. I found her You tube videos when I was looking for a good Pilates DVD. I got hooked on her videos and decided to get her POP PIlates DVD. Her workouts are definitely a killer. The moves are tough which I like because I get challenged more, but, she always provides modifications. I am a bit sore right now as I type this post. I don’t mind, it only just means I had a great workout. If you’re looking for a fun Pilates video and at the same time challenging, this is it! I definitely recommend this DVD for all fitness levels. But for those of you who are new to Pilates, it’s better if you check out her videos for beginners first to prep you for the more intense DVD workout. Oh, you should check out her Blogilates Shop. She’s got some cute inspirational tanks, pretty gym totes and yoga bags. Have you done Pilates? Love it? Hate it? Does the weather affect your motivation to exercise? This entry was posted in My Everyday Journey, Pilates and tagged athlete, blog, exercise, fitness, life, pilates, runner, thoughts, workout on March 25, 2013 by Ja @Ja on the RUN. So, here is my long overdue ‘thank you’ for a Liebster Award nomination. Since it’s my second time getting this (my first one here), so I kinda already know how it works. (I am humbled and touched that you guys want to know more about me). 3.) Answer the questions asked of you – I enjoyed answering your questions, Wendy. 11 Random Things About Me. 1.) My name Jaliza came from three different names – Janet, Lita, Zaida. 2.) I love vintage. There’s something about it that I find interesting. Think back to the days of old where the guys wore suspenders & newsies, and the ladies wore beautiful dresses with delicate lace gloves -1940s era. I love old suitcases, old pictures, vintage frames, etc. I have always been amazed whenever I see pictures and movies from the old times. I find it artsy & classy. Visit my pinboard for my collection of pictures of my favorite vintage finds. 3.) I love earth tones. Every girl loves color pink. That is the typical stereotype. However, I don’t belong in that category. I don’t hate pink; it’s just not me; not my personality. It’s not the first color that I would choose for myself. I love the colors green, brown, beige, warm gray, orange, cream, and purple, hence, the color palette I chose for my motif during my wedding. 4.) I prefer wearing flats than heels. I honestly prefer wearing flats and sneakers. I wear heels for certain occasions but that’s it. I don’t want to wear them daily. Wearing heels can be very uncomfortable for me. They hurt my feet after a long time walking in them. I feel relaxed and comfortable using flat shoes. During the wedding, I changed into my sneakers for the reception. My husband and I did a crazy dance opening and I needed to be comfortable. Plus, I knew I was going to do a lot of walking to entertain guests. It definitely was a great idea! 5.) I love Word Games. I’ve mentioned in my previous Leibster Award that I love Scrabble. There is also a game called Scramble, which I play every free waking moment on my iPhone. I think my addiction is getting pretty bad. Sometimes when I close my eyes, I will see a board of letters and start making words in my mind. I even had a dream about playing! It’s crazy! 6.) I am a little neat and clean freak. I hate it when our house gets cluttered! I like things to be in certain ways. I get anxious if something is even a little bit out of place. I also make sure I disinfect our kitchen countertop after using them. It relaxes me when the house is clean and everything is in order. With that being said, let’s proceed to the next one. This little sign is perfect! They get the message and they remove their shoes without me telling them. I know not everyone that comes over are prepared to go shoeless. So I placed a basket filled with soft guest slippers in all sizes by our front door. That way, our guests would still be comfortable to walk around our house. 9.) English is my second language. Tagalog (Filipino) is my first. My husband and I are fluent in English and Tagalog. When we have a child, we want him/her to learn both languages well. 11.) I get so cold easily. I am so terribly sensitive to the cold especially my extremities, fingers and toes. I love winter and snow but I have cold intolerance. I need to really bundle up when we go out in winter months. I am truly thankful for discovering this wonderful product – Hot Hands hand warmers. It’s a savior! In addition to gloves, I have Hot Hands inside. I enjoy outdoor activities in all seasons. In the cold months, I have to find quality winter gears and clothing perfect for me or else I’ll die of hypothermia (LOL!). One of my favorites is the Columbia base layer socks. I wear them to go snowboarding, running outdoors in the cold or even on regular days. It is very effective in keeping my feet warm. They have it in colors blue, black (which are the ones I got), and pink (told you, I am not a pink person). What was your favorite comic strip as a child? I don’t have pets. Unfortunately, I suffered from Bronchial Asthma as a child. Having pets will trigger my asthma symptoms. I started blogging to keep track of my progress and I wanted to share my love for running. There’s no other social media out there that gave me this sense of belonging. 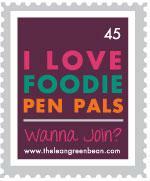 Blogging to me is a community of like-minded people who all share the same passion, hopes, and dreams. It is such a positive place to be when I’m feeling down. People say I inspire them, I’m inspired by them too! The support I get from the blogging community is just awesome. If you could only own one book, what would it be? The World Almanac because it’s packed with information. Do you color inside the lines or outside? What word would your mother use to describe you? What word would your best friend use to describe you? My husband is my best friend, he describes me as crazy too. Hmmm. Have you ever been in a bar brawl? Nope and I don’t intend to. I don’t. I shouldn’t but I still really can’t sleep alone at night without a night light. What have you done to prepare for a zombie invasion? 4.) Tink @The Running Paintbrush – love her paintings!!! 2.) If you receive one million cash, how would you spend it? 3.) When do you blog? 4.) What is your favorite day of the week? 6.) What is the kindest thing you did? 7.) What is your greatest achievement so far and why? 8.) What’s something you learned recently? 9.) What is your favorite store to buy your workout clothes? 10.) What is your favorite item you own? THANKS and have a good day!!! This entry was posted in About Me, Leibster, My Everyday Journey and tagged adventure, blog, fitness, life, running, thoughts on March 24, 2013 by Ja @Ja on the RUN. Happy first day of spring!! Spring is officially here! We survived winter! There are still some patches of snow and still freezing cold up here in Ohio but I know that warmer times are just right around the corner. I’ve said this countless times – I love snow but I can’t wait to run outside in shorts!!! My favorite thing about spring is all the bright and beautiful colors. I also love the warm sun and the cool breeze touching my skin. But, I don’t hate winter because I love snowboarding. All the snowboarding adventures and trips I had with my husband during the winter was a lot of fun! The snowy scenery you get during winter season is just beautiful. And oh, my first time running in the snow was definitely a lot of fun too! So, yeah, I don’t dread the snow but I’m over winter season (for now). I know I will definitely miss having a little bit of the white stuff again come the dreary summer months, that’s for sure. I now look forward to more running adventures this spring. The best thing about this season is the weather. There’s nothing like a good run on a nice, crisp, sunny day. When the weather is perfect, not too hot, not too cold, your body is comfortable, your breathing is easy and the sun feels warm on your face. These are the days when you love being a runner. By the way, I got my POP Pilates in the mail yesterday! If you haven’t checked out Blogilates, you MUST. She is an amazing trainer and I love doing her workouts! What’s your favorite thing about spring? Do you hate winter? Wishing you all a beautiful day! This entry was posted in All About Running, My Everyday Journey, Pilates, Snowboarding and tagged adventure, athlete, blog, exercise, health, life, runner, snowboarding, spring, thoughts on March 20, 2013 by Ja @Ja on the RUN. 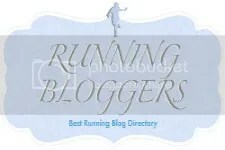 I started my blog last Summer (July 2012) to write all my adventures about my new found passion – running. It’s only been 8 months and I am overwhelmed by how fast my blog has grown. I named my blog “Athlete in Me” – as it was the first thing that popped into my mind. I really did discover the “athlete in me” when I started running and joining races, so I went ahead and used it. I had no other ideas at the time. I knew I wanted to blog about my training to inspire others and keep me motivated. AthleteInMe.com is already taken. It’s a very common phrase. Then I changed it “Athlete Within Ja” to kind of prepare myself for the change when I buy my domain. But this name I didn’t feel like it’s “me” anymore. If I had known my blog would eventually lead to this, I would have taken more time to think of a better and unique name. Although I have already ideas in mind of a blog name, I want to expand my choices! I’m open to more ideas and suggestions. I’d like to ask for your ideas, something creative, clever and “me” (see About Me page for ideas). I’m not opposed to a running-related name as long as it’s available for domain use. So, let’s talk about what I’m giving away. Have you heard of Bulu Box? Bulu box is a monthly subscription box that lets you try different vitamins, supplements, health and weight loss products for only $10. You are sent a bunch of different health and wellness products, vitamins & supplements each month that you’ve probably never tried before. You can choose a month to month subscription so you can cancel at anytime and resume at anytime. Nice! Bulu Box: As the first and only vitamin and supplement sample box, this box includes a well-rounded sampling of vitamins and supplements that help in all areas of health. Each box contains 4 to 5 premium samples plus lifestyle extras from time to time. Every box is a feel good discovery. Bulu Box Weight Loss: As the first and only weight loss subscription box, this box was designed with the specific goal of weight loss in mind. Each box contains 4 to 5 premium weight loss items such as vitamin and supplement samples, fitness gear and healthy eating tools. Discover products to help you succeed with weight loss. The kind people over at Bulu Box sent me this month’s nutritious goodies to try and share with you. It comes in the mail in a super cute orange box! I like how their box has motivational quotes printed all over it. Inside was a pamphlet with an exercise guide on one side and information about the products in the box on the other side. My thoughts: I think it’s a great concept. The convenience of trying one sample before committing to the full size version in specialty stores is worth it! FYI: I can only send to US and Canada. Meanwhile, if you like to subscribe to Bulu Box, I can hook you up with a FREE BOX or $10 off for your first month. Sign up through this link or enter this coupon code: BULUGAN984 at checkout. FYI: Bulu Box sent me a complementary box to try. All opinions in the above post are mine and mine alone! 🙂 Visit their website for more information about their service. Congratulations Memoirs of a Kidd! We picked you to be our winner! 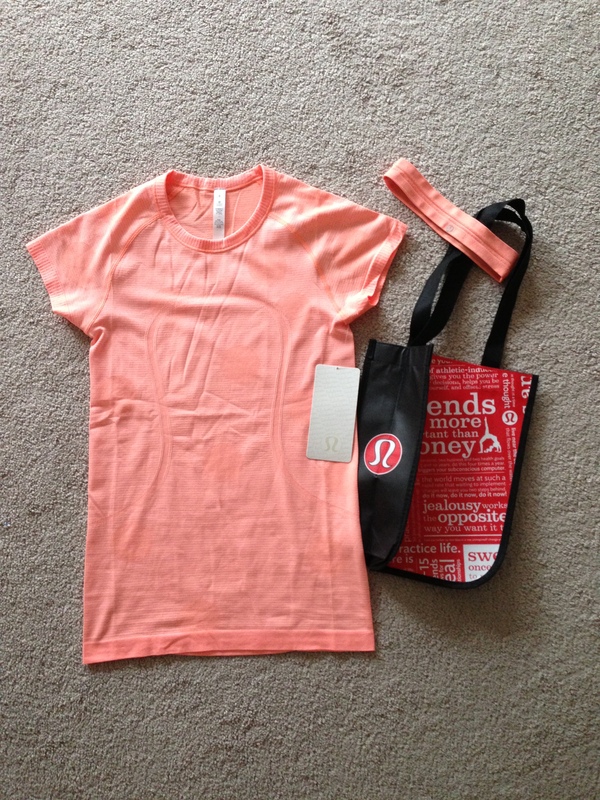 This entry was posted in Giveaway!, My Everyday Journey, Product Reviews and tagged adventure, athlete, blog, bulu box, exercise, fitness, health, inspiration, life, review, thoughts, workout on March 18, 2013 by Ja @Ja on the RUN. How did you spend your St. Patrick’s Day? Did you run a green race? So awesome to see pictures and read so many stories of people rockin’ their races this weekend! Way to go, everybody! I woke up early to attend yoga class. 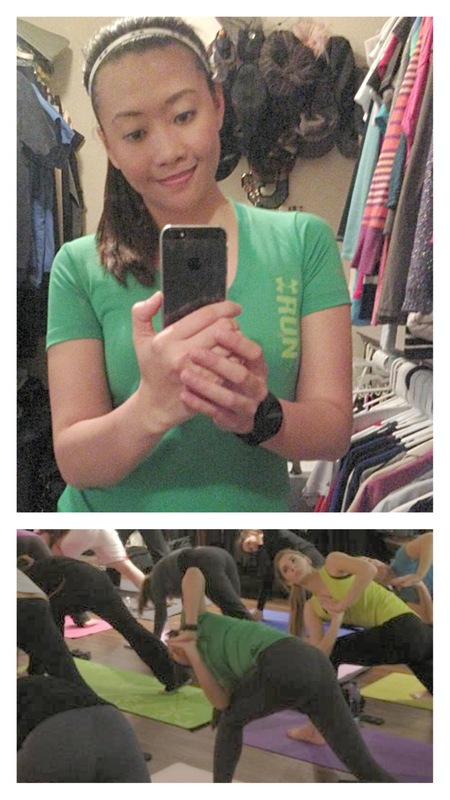 No, it wasn’t a requirement to wear green, but I just felt like wearing green since it was St. Patrick’s Day. I got a cute running shirt and a matching headband. So, did you race in one of the many half marathons this weekend, or just went out for run? This entry was posted in All About Running, My Everyday Journey, Product Reviews and tagged adventure, athlete, blog, fitness, health, life, lululemon, review, runner, thoughts on March 18, 2013 by Ja @Ja on the RUN. Pi Day? … I just saw that all over Facebook today. Apparently, it’s a day to commemorate the mathematical constant π (pi). You know, March 14? 3/14? Oh, ok I got it! LOL! A pic of my husband’s watch. I got a little carried away with mine and went 3.16 on accident! LOL! I wore my Sweaty Bands today. This is my absolute favorite headband – I literally wear it almost every time I work out. I got the sparkly black to match all of my workout gear and regular clothes. I love that it stays put during my workouts, even during burpees! Haha. They’ve just launched their newest collection – Sweaty Safari Collection. 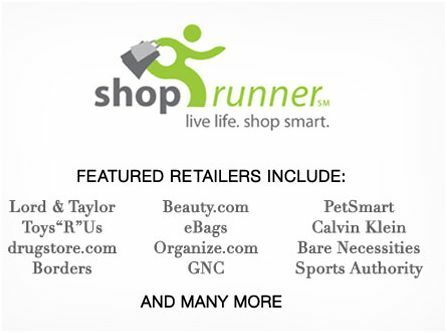 I am affiliated with them, that means, all my readers can get 5% off when you use my link to purchase. 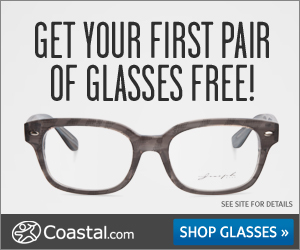 Click on the banner below and save 5% off your purchase. After our run, we hit the weights! My husband made me do a lot of upper body workouts today. I know my arms are the weakest part of my body. I used to not be able to do push ups or get anywhere near a pull up bar. Doing kickboxing and Pilates, I noticed that I am slowly improving. I now can do a number of push ups and pull ups. I realized that our bodies are stronger than we think and capable of more than we expect. That’s it for now. I am feeling good tonight but I know my body is going to be sore tomorrow. Did you earn your “pi” today? How many miles did you run/walk? This entry was posted in All About Running, My Everyday Journey and tagged 5k, adventure, athlete, blog, exercise, fitness, health, life, review, sweaty bands, thoughts, workout on March 14, 2013 by Ja @Ja on the RUN.